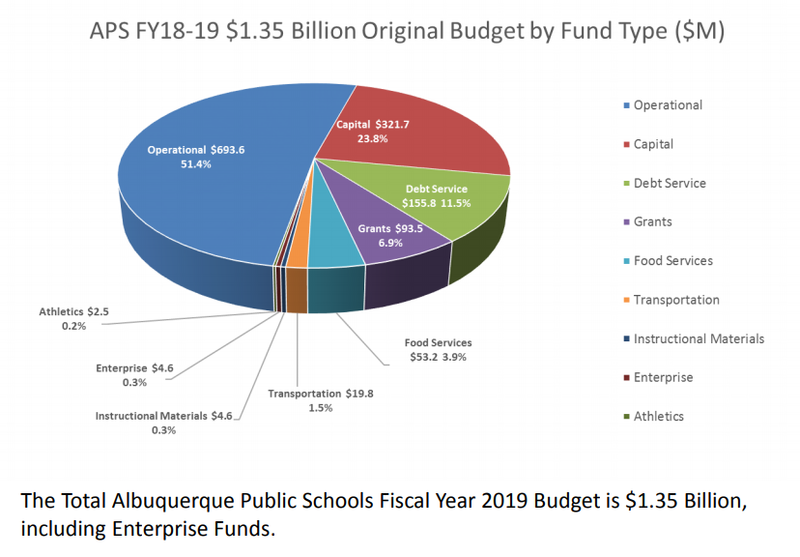 No matter what happens with the upcoming APS property tax election, Albuquerque Public Schools can expect a massive cash infusion from the Legislature. 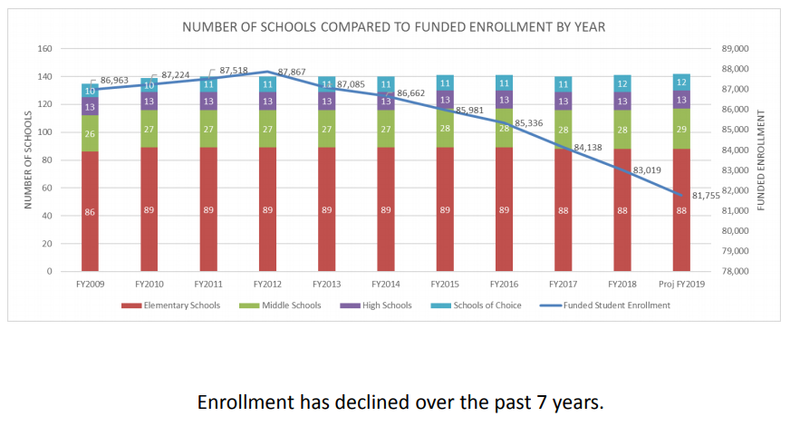 But the District’s student population is plummeting and has dropped every year for 7 straight years and is down 7 percent from its previous high(81,755 down from 87,867). All of the information cited here can be found in the latest budget documents being developed by APS. And, of course, APS loves to play “fast and loose” with its per-student spending numbers. As seen below, the District spends $1.35 billion annually. Dividing that by the latest student population numbers gives us $16,500 or so per student annually. Ya gotta build those fancy buildings and pay those way-above-teachers salaries somehow.